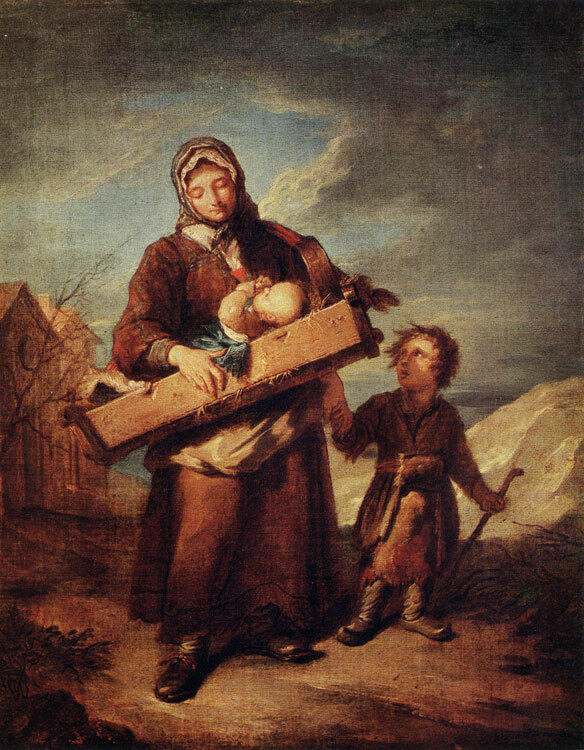 This is a companion picture to Strolling Musician (Savoyard) (The Hermitage, Inv. No 3546). The picture was etched by Dumont himself; J. Daulle completed the engraving with a burin.